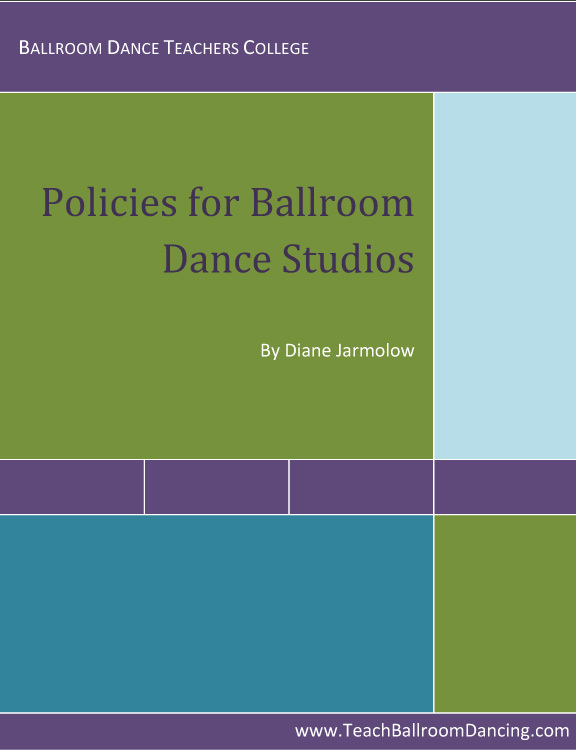 Studio Owners: Save yourself time and money with this manual containing all the policies and procedures necessary to run a successful dance studio! When Diane Jarmolow founded the Metronome Ballroom in San Francisco, it took her over 3 years and countless hours of lawyers’ fees to create all the policies needed for the studio. You will receive a 56-page hard copy of the manual, as well as all the digital files on a CD for easy customization.